If you wish to remove contacts, you can either delete them in bulk or delete contacts individually. 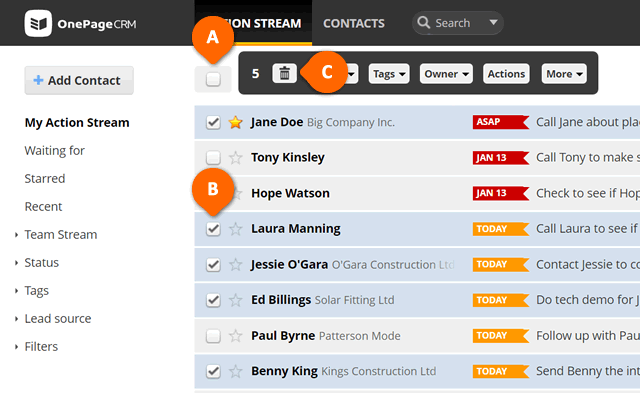 Select contacts: all (see A) or individual contacts (see B). 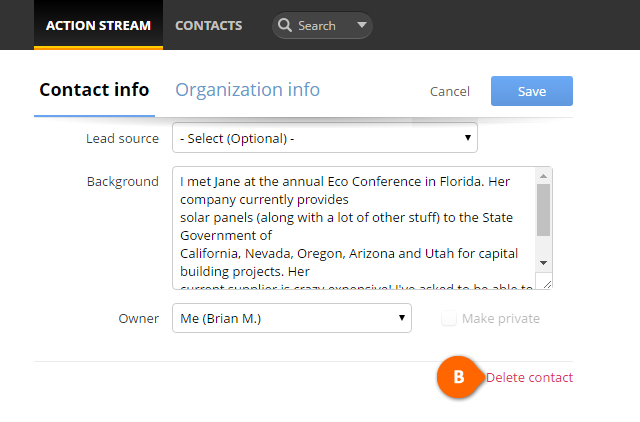 Delete contacts by choosing the bin icon in the bulk menu (see C). 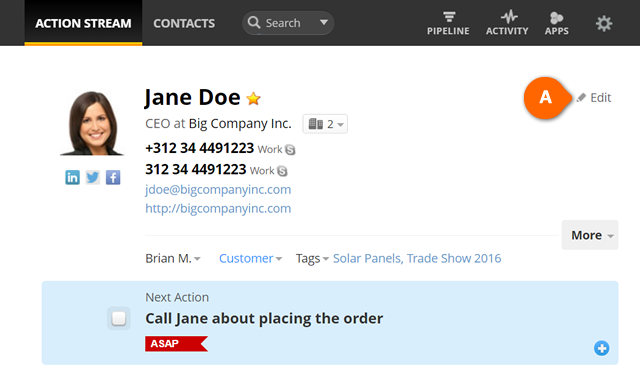 Open a contact and click Edit at the top right corner (see A). In the Edit contact page, scroll to the bottom of the page and click Delete contact (see B). In the warning message click OK.
To undo the deletion of a contact, go to Activity Reporting > click on the Undo delete link. You have only 24 hours to use the undo option.